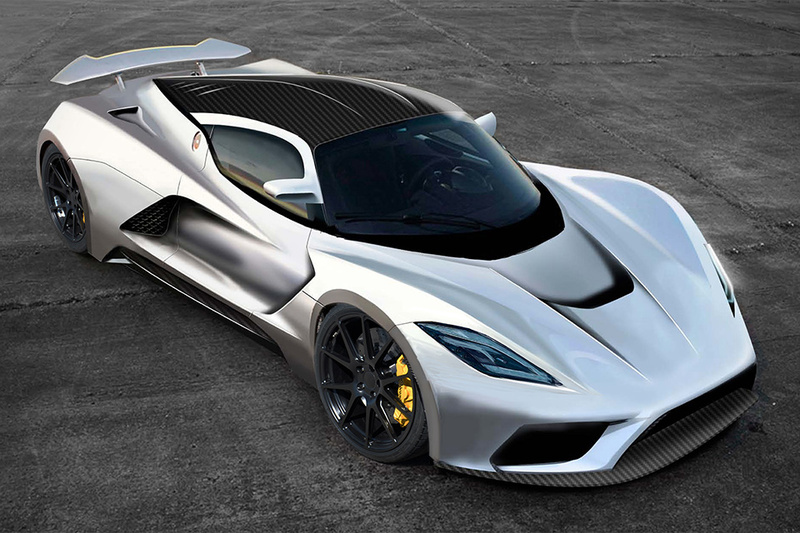 Here at last, the Venom F5, successor to the Venom GT. If you remember from Meteorology 101, the Fujita scale pegs the strongest tornado as an F5, with winds of 261 to 318 mph, so it’s a fitting name for this next-generation Venom that’s the very definition of power and speed. The F5’s bold, lower-drag shape, additional power and enhanced technology will push this Texas-built hypercar to velocities previously unimagined for a road-legal, series-produced vehicle.